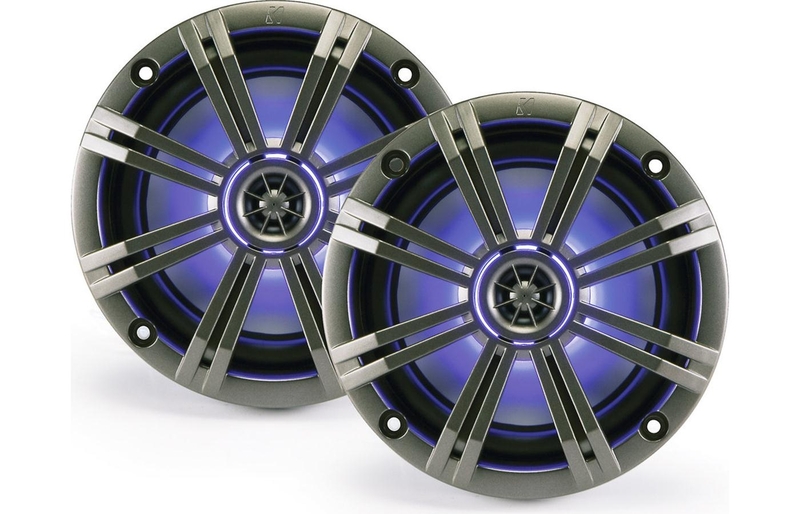 These beautiful, injection-molded enclosures are loaded with our maximum-performance, M-Series 8.8-inch coaxial speakers. 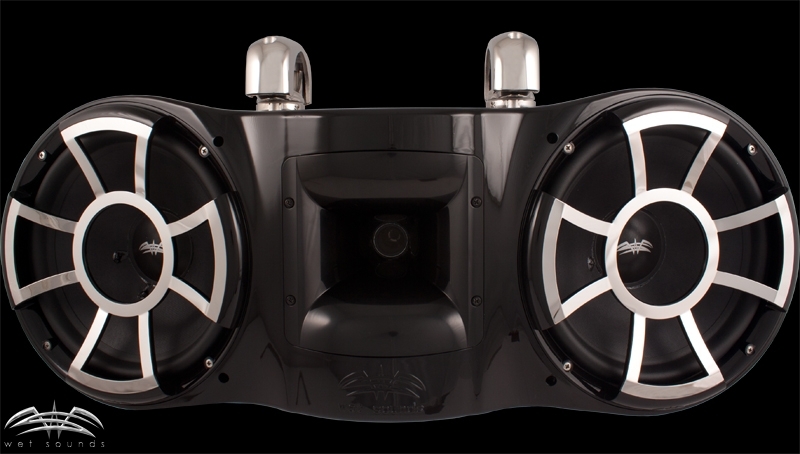 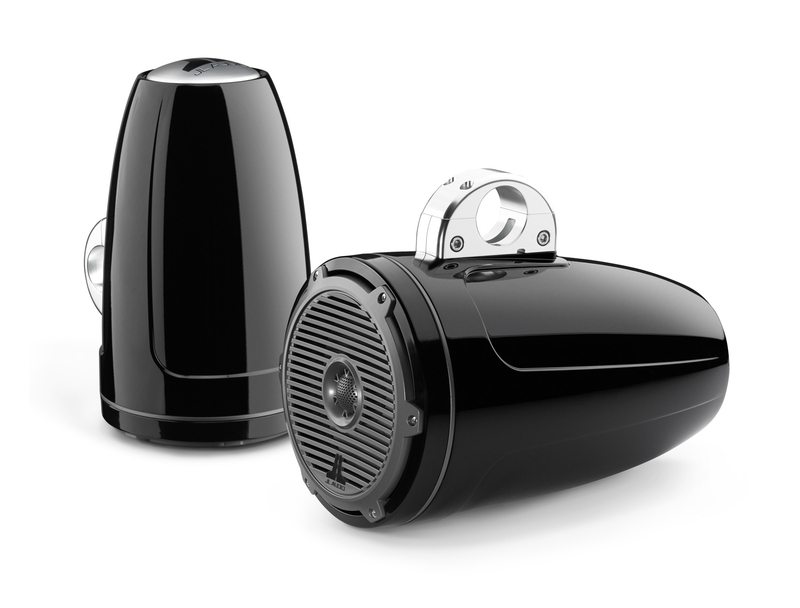 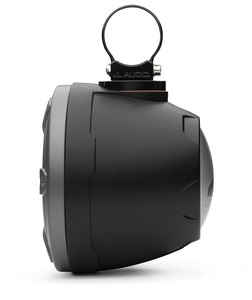 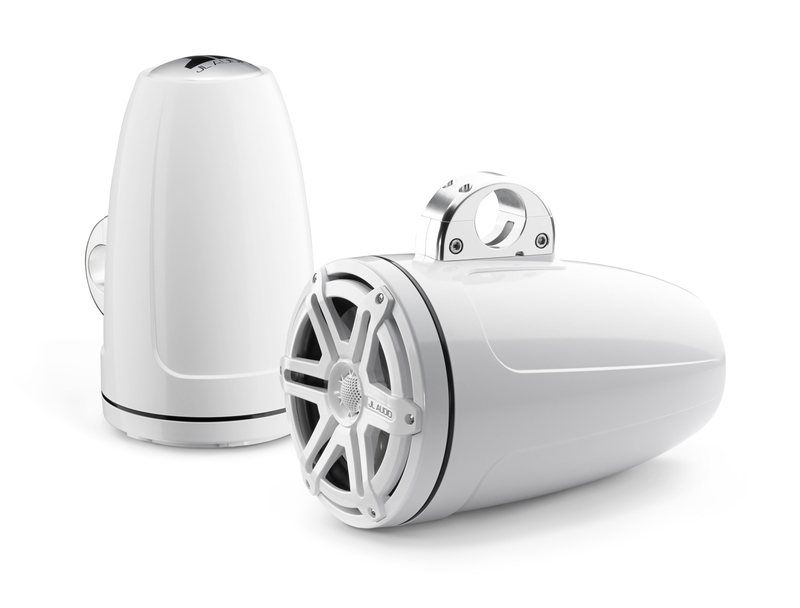 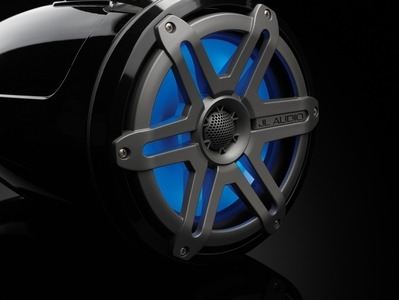 These oversized coaxial drivers deliver clean, loud audio that can be heard well beyond the boat when mounted up high, and are capable of outstanding sound quality at high listening levels. 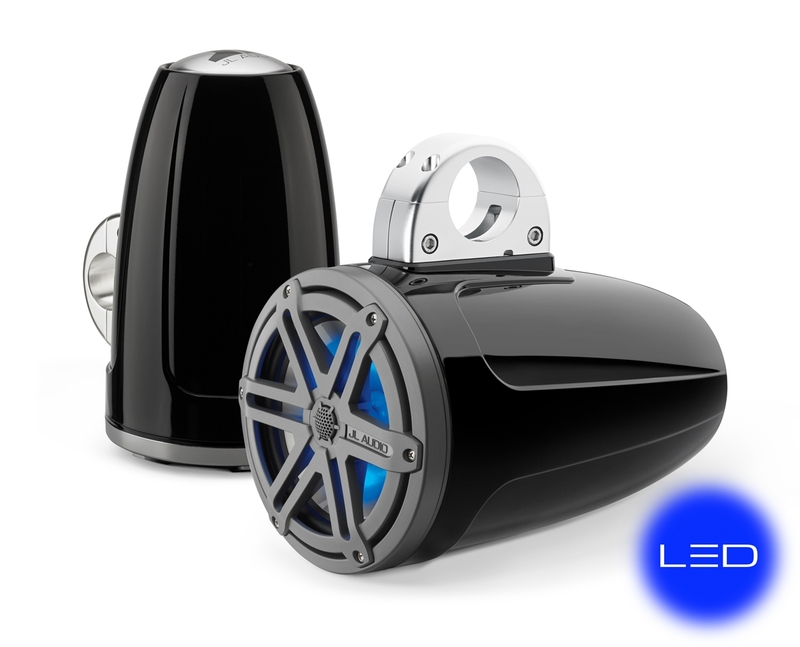 For best results, we recommend powering these systems with an amplifier in the 125-250 W per channel range.